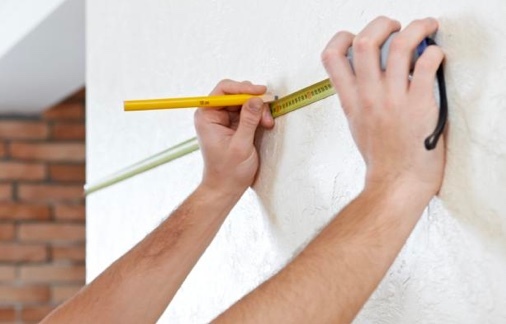 Need a hand to design your new space? For free? Build a creative and unique space with our help. Our experiencied team will give you a free design quotation. Just fill in the form opposite and we will contact you, as soon as possible. 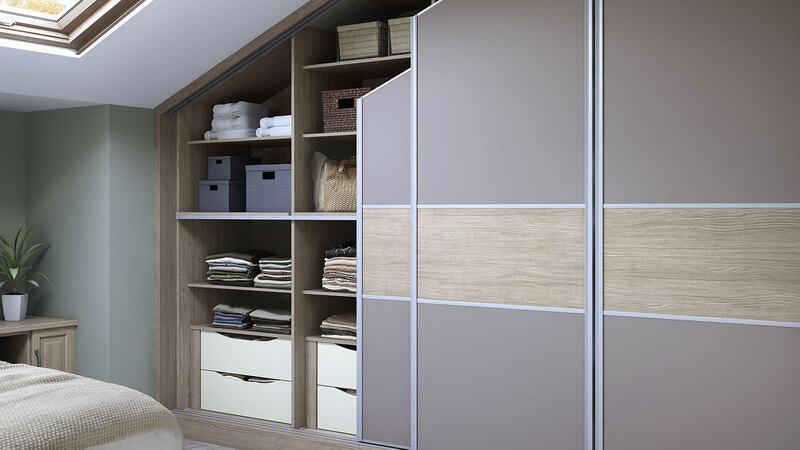 Our collection of sliding wardrobes are available in four stunning designs with a range of finishes and widths giving you the flexibility to add your own personal touch. 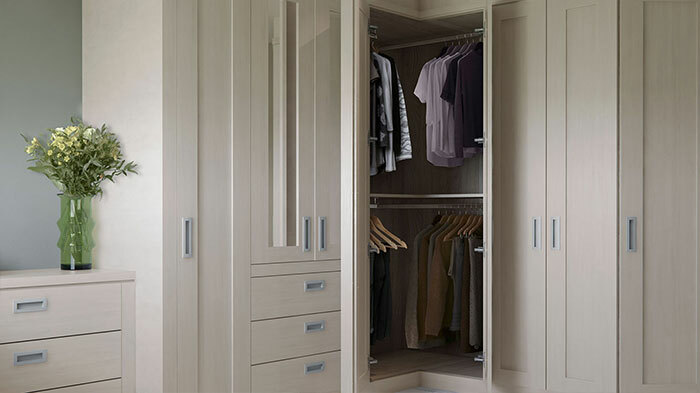 Built to the highest standards, our fitted sliding wardrobes offer a high quality finish from the smooth running of the sliding doors to the clever soft close mechanism. 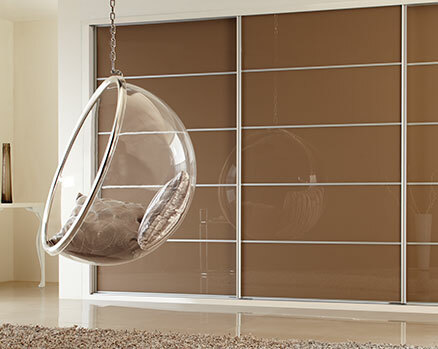 If you love the idea of floor-to ceiling wardrobes, but simply don’t have the space, take a closer look at our stunning sliding doors. 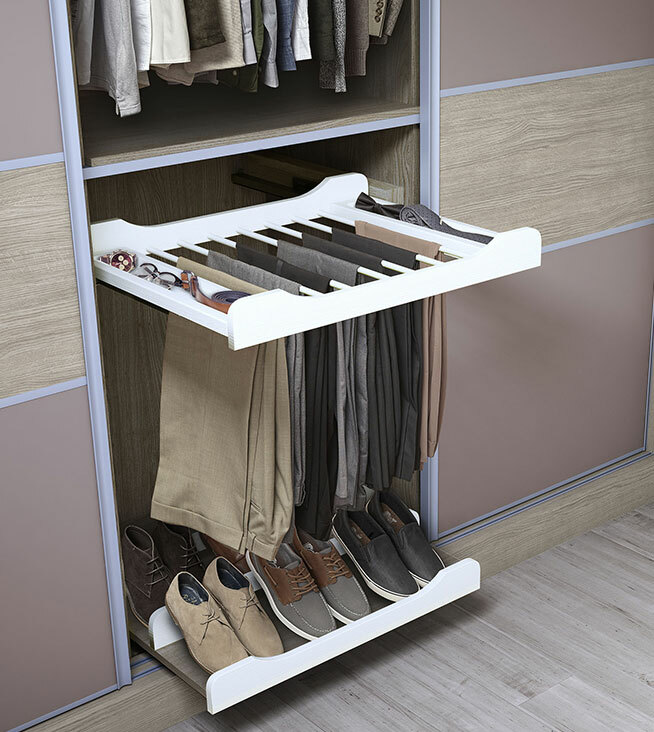 This contemporary option gives you greater flexibility and works wonders in smaller rooms. 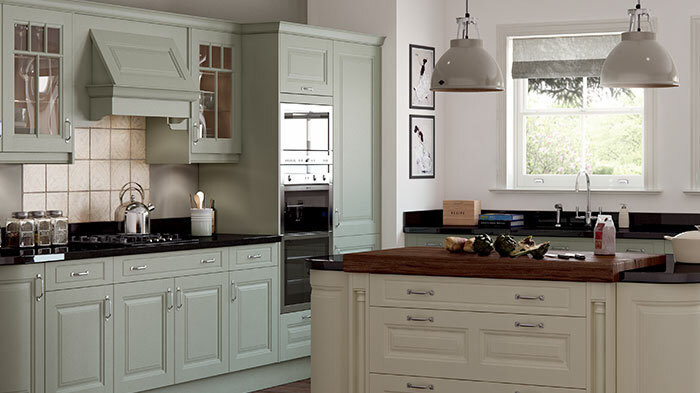 Choose your ideal design from a wide range of colours, textures and finishes. 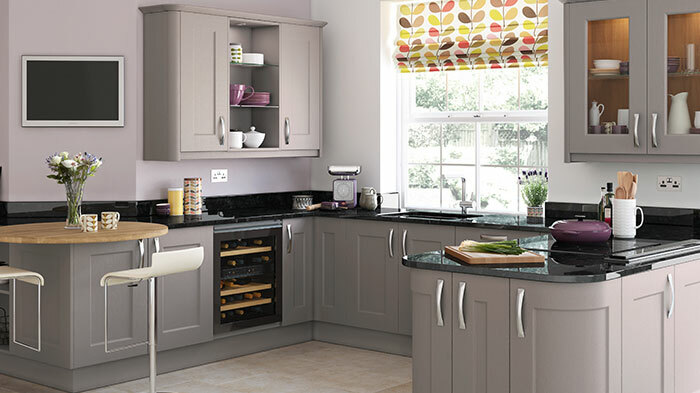 Mix and match door panels and create stunning design highlights. 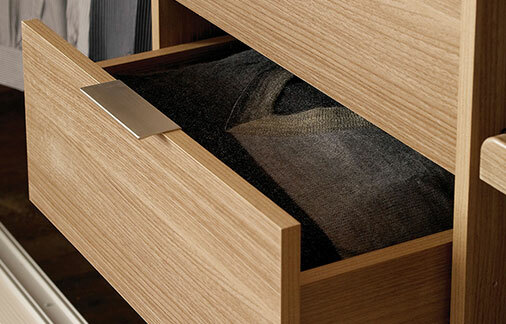 Then, let our expert craftsmen transform tight corners and angled ceilings into a beautiful, bespoke storage space. Why Choose Teddys at home? 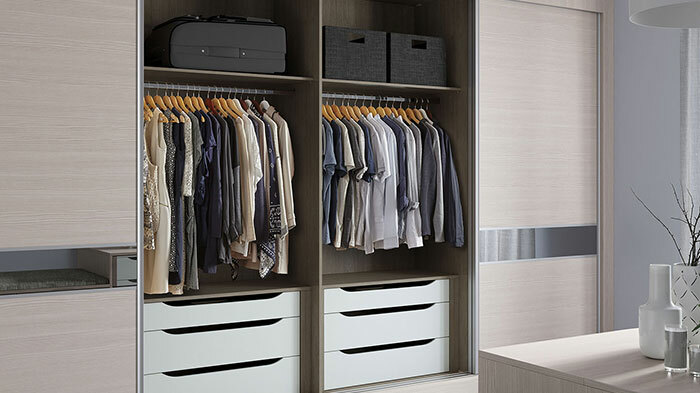 We check and double-check every measurement and use clever tricks to add smart storage, unlock unusual layouts and breathe new life into your space. No matter the space, we’ll help you create a stunning design to match whatever you have in mind, reinventing your home and space. 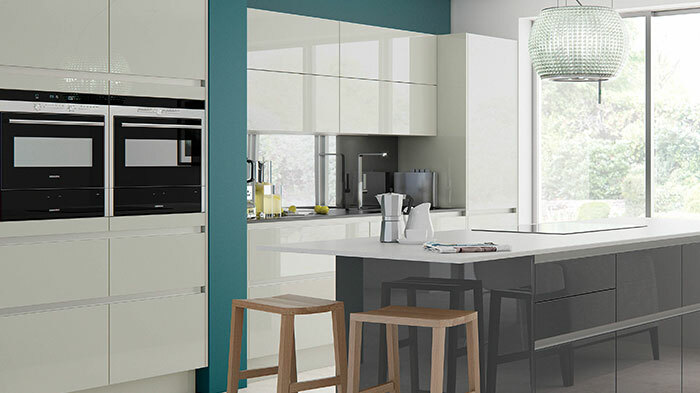 We have a dedicated team of installers and all our team are qualified to UK standards, making sure the day to day work runs as smoothly as possible, ensuring the end result leaves you feeling stress-free and over joyed. 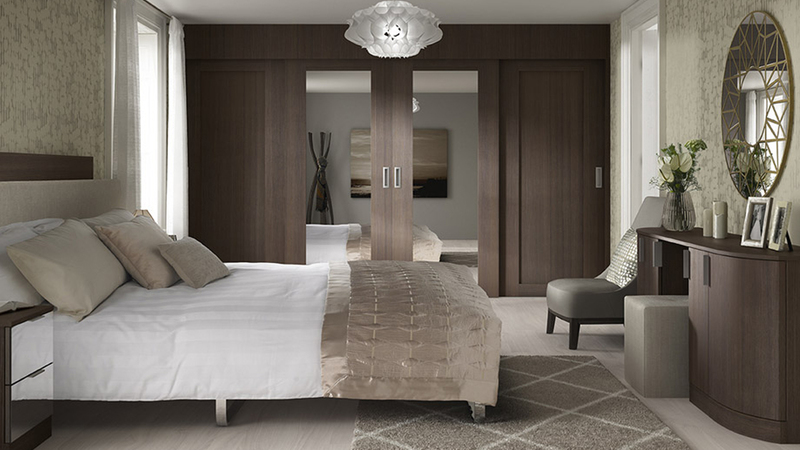 We offer a full free design service, showing you in 3D to help you visualise your space and to see exactly what you will be getting. 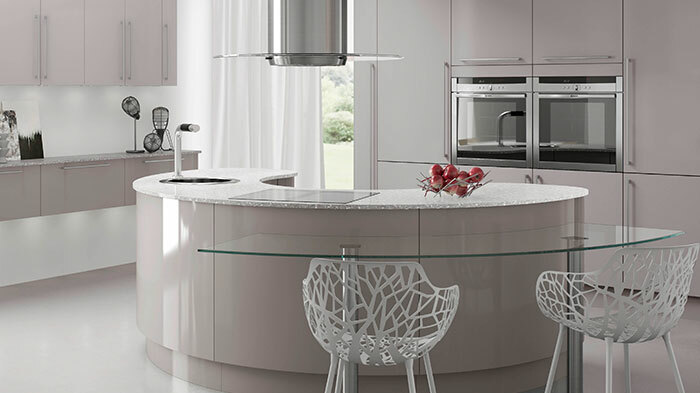 Our team Bring a wealth of experience and knowledge, so we know we’ll inspire you with the latest interior tends, materials and colours, transforming your space in to a design you can call your own. 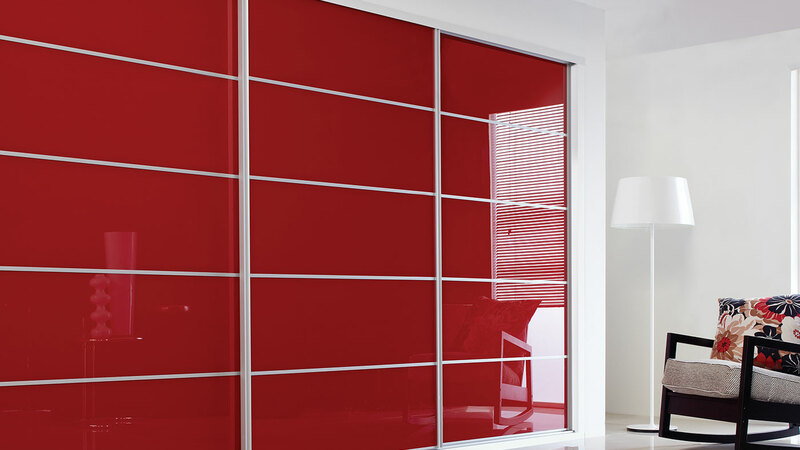 We strive to offer you as many options as we can all being the best in design, colour and quality. Experience in every aspect of designing and installing bathrooms, kitchens, bedrooms. 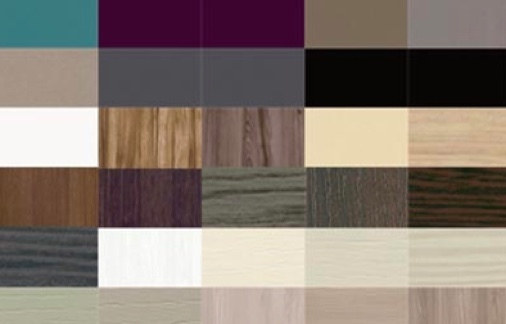 For new place design, you can choose from over 90 colours. 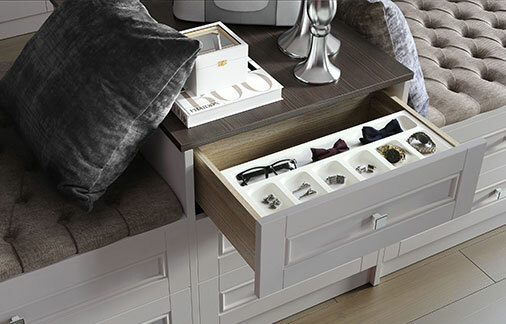 We give you a wide range of finishing touches to ensure your bedroom suits your individual needs. 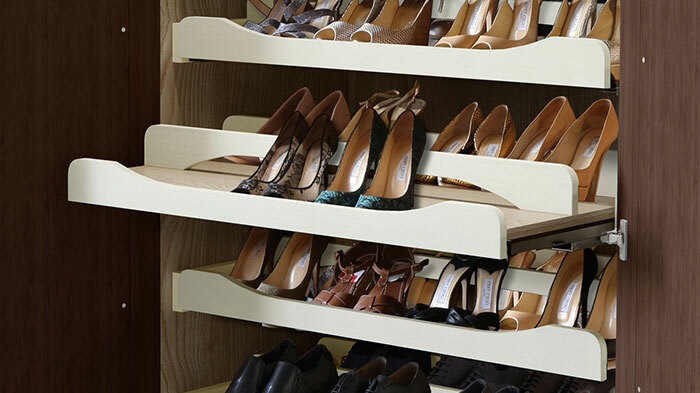 If lack of space isn't a factor then our interior storage options are great for you. Units are fully enclosed, keeping clothes dust free.